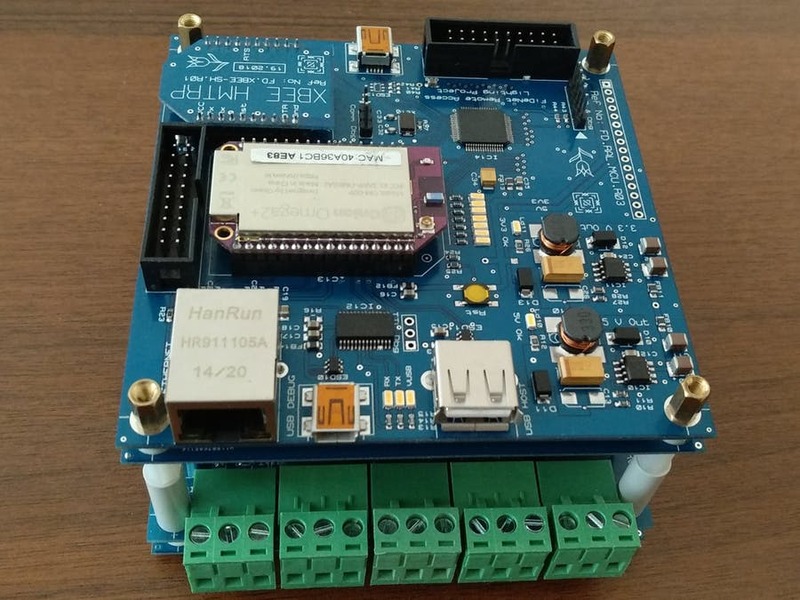 We have two great projects to share with you today – one that repurposes an existing project and extends it by adding voice control courtesy of Google Home, and the other, custom hardware for the Omega2 that adds lots of I/O and XBee support. If you’ve been with us for some time, you’ll remember that we had previously featured Hackster user Xenophod’s Omega2-based solar pool heater project. Since then, summer has come and gone, and Xenophod emptied and covered the pool for the winter. But, there was a new problem to be solved: the pool cover collects water from the rain and snow that needs to be drained! Xenophod repurposed the pool heater setup so that the Relay Expansion controlled water pump actually drains water that’s on top of the pool cover. Then, with some Python code, Adafruit IO, and IFTTT, he made the pump voice activated with his Google Home. Now, Xenophod can make sure the pool cover is drained from indoors without lifting a finger! Onion Community member Fikret wanted to used XBee radios with his Omega2. Not being content with a breadboard solution, Fikret designed and prototyped a custom dock for the Omega2 that exactly meets his needs. The custom design features an XBee shield header and PIC24F microcontroller to facilitate use of the radio. Along with that, it sports a USB host port, an Ethernet port, and exposes the GPIOs of the Omega and the PIC microcontroller.